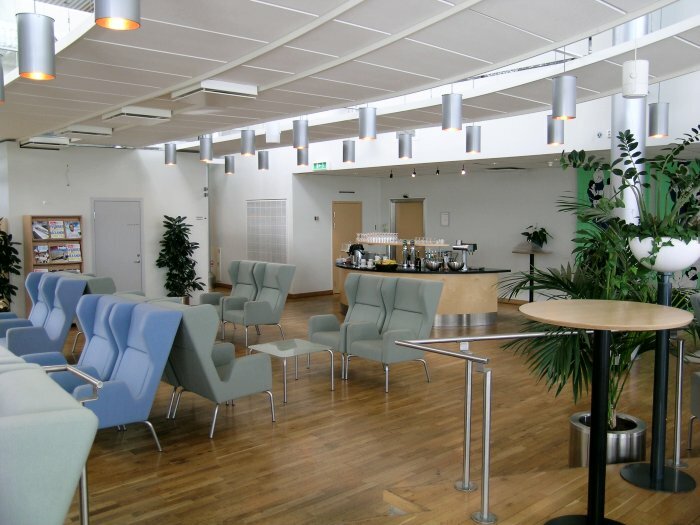 The Finnair lounge at ARN does not appear to be a busy place, judging by my experience. I was the only passenger in the Platinum section, which is accessed by keying in a code on the door. I saw the aircraft arriving and, with an excellent piece of timing, was able to photograph it together with a departing BA flight to London. My allocated seat was 6F, in the third row of the Economy cabin, there being three rows of Business Class on this very short flight. Happily, 6E was empty. We pushed back early at 1022 and a forward-facing camera showed our progress as we made our way towards Runway 08. 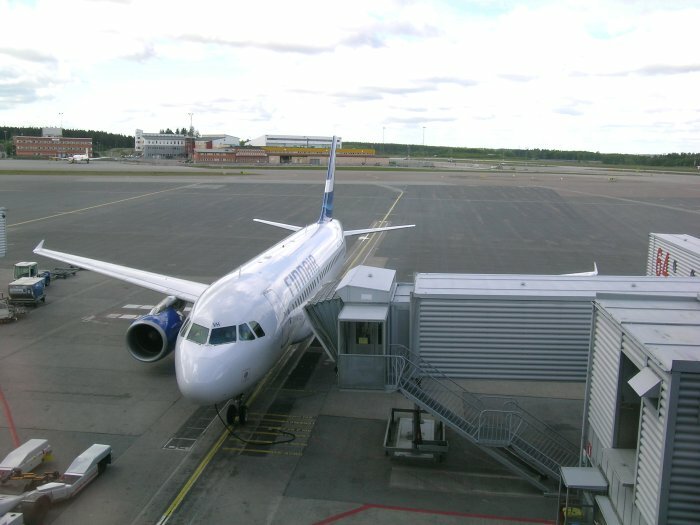 Take-off was at 1033, just 3 minutes after the scheduled departure time! The view was switched to a downward-pointing camera until all became grey due to cloud cover. 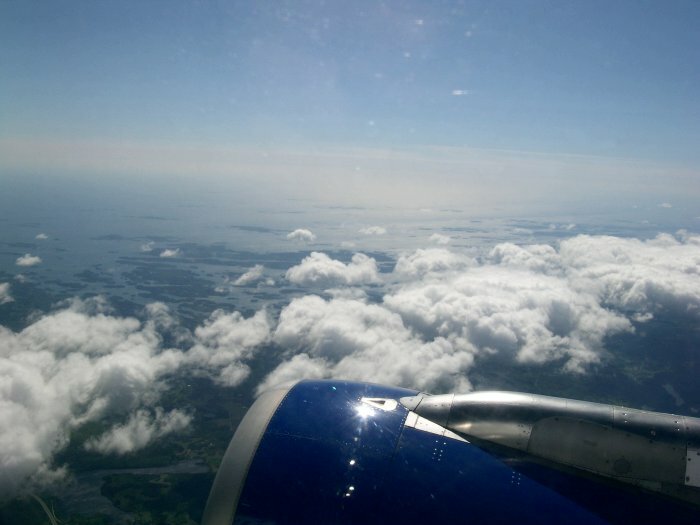 The cruising altitude remained low. 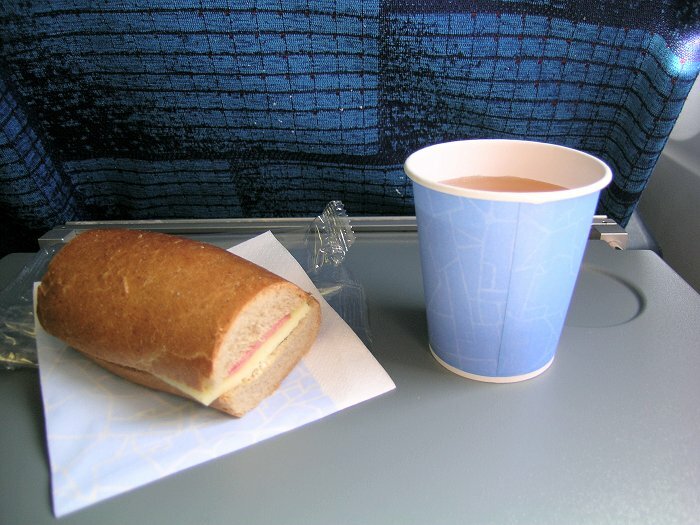 In-flight service consisted of a complimentary small sandwich and cold beverage - I had apple juice. 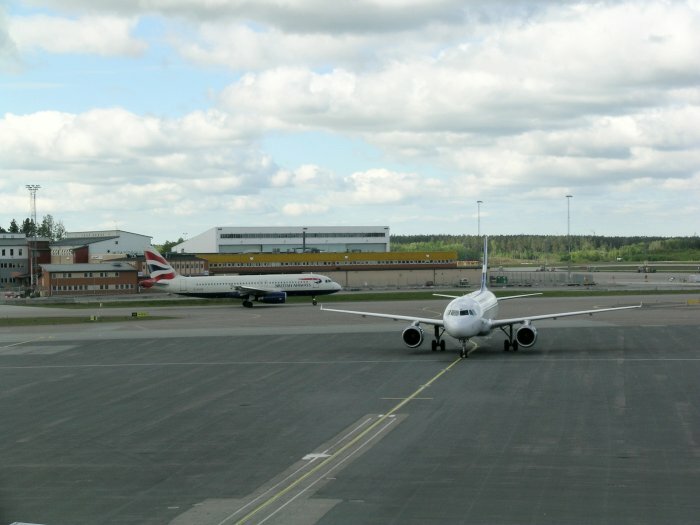 We touched down on Runway 04L at HEL at 1214 local time (one hour ahead of Stockholm) and arrived on our remote stand at 1218. I was shocked to learn that the local temperature was a very chilly 10C Not a bad first experience of another member of the oneworld clan.